Brighten up your maternity wardrobe with this easy to wear short sleeved purple maternity top. 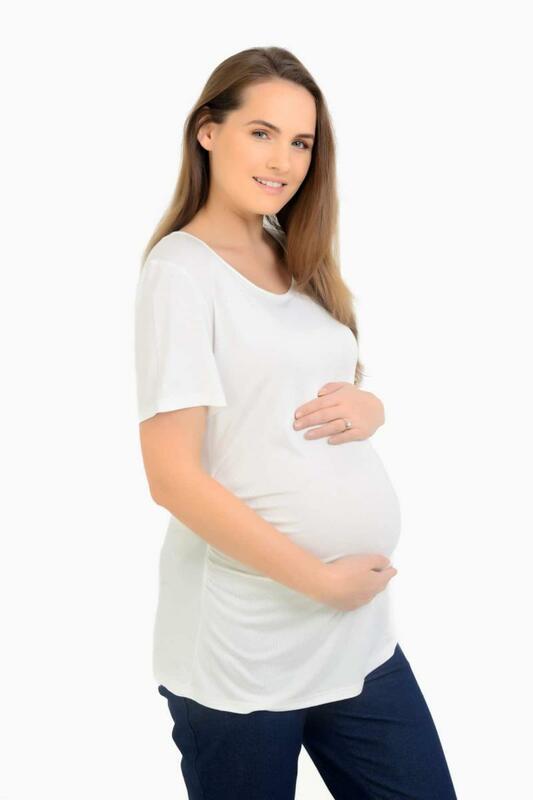 The deep v-neck and side ruching is extremely flattering giving you a wonderful shape throughout your pregnancy and is also available in gorgeous purple. For a great look, team this maternity top with our Maternity Bootleg Trousers, or our Stretch Maternity Jeans, dress it up or dress it down, it’s up to you!